Africash Loans in Bramley, Johannesburg is a registered credi provider. Whatever your need – making the seemingly impossible possible, paying an unexpected medical bill, doing home repairs or improvements, furthering your or a family member’s education, purchasing a second-hand car, repairing appliances or even consolidating multiple debts – a personal loan can be a stepping stone to better your life. 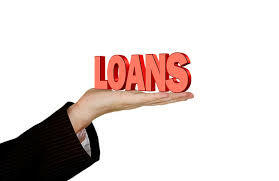 You can have peace of mind that we will offer you the right loan amount at a great interest rate customized to your financial need, ensuring that you maintain a good credit record.